With Spring here at last, and knowing it is a time of renewal, you are beginning to feel better. If you’re home, and a gardener, you’ve probably bought your seeds, and started them indoors until the weather is just right for outdoor planting. It’s a great time of year. Your meetings are going well, and you’ve made new friends. The joy of living, like your seeds, is sprouting and growing. Family members, whom you thought would never want to see you again, call to invite you over for a meal. 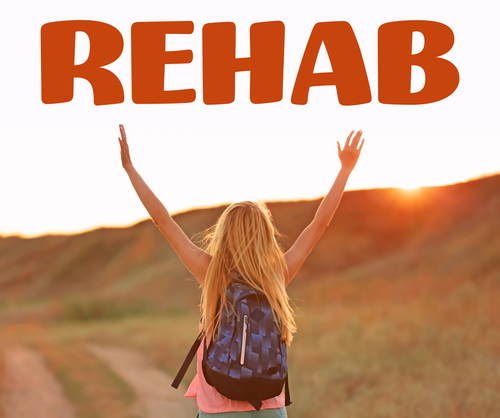 You still harbor a considerable amount of shame and guilt, but you are working on those issues in alcohol rehab. Unearthing things about yourself that led you to addiction has been both painful and helpful. Your life is going so well, it seems nothing can go wrong. You’ve heard the term, two steps forward, one step back, but are not prepared for the back step when it hits. Your company, the one that was so understanding about your one-month leave for rehab, is shutting down the office where you work. The severance package they offer is insulting. You are devastated, and all the personal work you’ve done on yourself seems irrelevant. It seems like a bad movie, but it’s not funny. The disappointment you feel from losing your job turns to rage, and then the rage turns inward. It calls to you, self-destruct, self-destruct, and you think, wouldn’t a drink taste good right now?! In recovery, you can have both good and bad days, because that’s how life works. There’s no free lunch, but turning your back on yourself and retreating to dangerous considerations, isn’t a going to remedy your feelings or situation. Deep down, you know this, so gratefully you leave the liquor store empty-handed, get in your car and call your sponsor or a good friend also in recovery. « Why Couldn’t I See How Much Harm I Was Causing My Family?